I am linking up with Farley for her February Currently. I've missed the last couple of months so it's good to be back ! Listening: My mama had back surgery this past week and can't get around very well so she's making good use of Netflix! I'm hanging out with her today to help out! Loving: My mama's surgery is over and she is home! Woohoo! Thinking: I got my first student teacher a couple weeks ago and she is doing great! We've had 4 snow days since she's been here so she actually hasn't been in my room long, but it's going very well! Wanting: I have a 'little sister' in the Big Brother, Big Sister program and I have promised her we would go see Frozen. I've heard it's really good so I'm looking forward to it! Needing: I need something yummy to eat...I am so hungry! 1. Truth: I ran a marathon a few years ago. It was on my bucket list and I'm so happy I have marked it off! 2. Fib: I only have a brother. I don't have any sisters unless you count my 'Little Sister' from the Big Brother, Big Sister program! 3. Truth: I have been to all 48 continental US States! I only have Hawaii and Alaska left and I will definitely get there someday! I also want to share my updated Math Story Problem Pack with you! 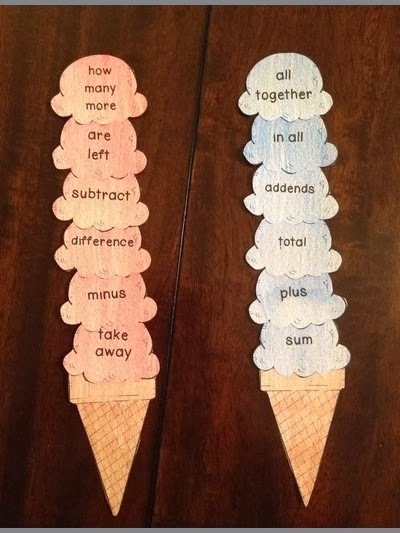 It has gone from 20 pages to 53 pages with lots more story problems, anchor charts, and even an ice cream cone activity to help your kiddos remember addition and subtraction key words! I have 2 types of anchor charts in this pack. 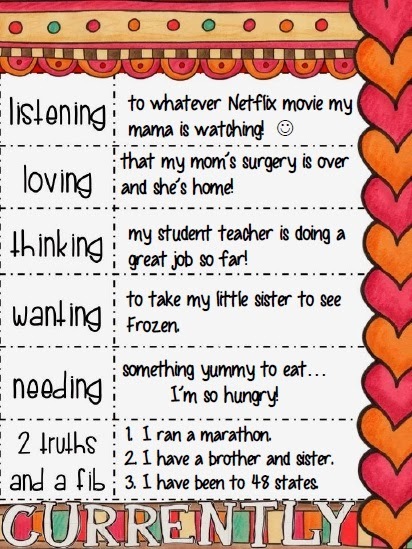 Each anchor chart has a copy you can just print and use and one your kiddos can make. 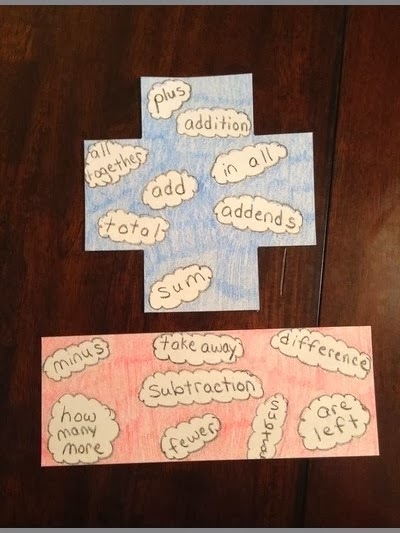 Below is a picture of my addition and subtraction sign charts that your kiddos can make! We use blue for addition and red for subtraction. I wrote the key words on each sign first and then colored it to make it a great visual for my struggling kiddos. 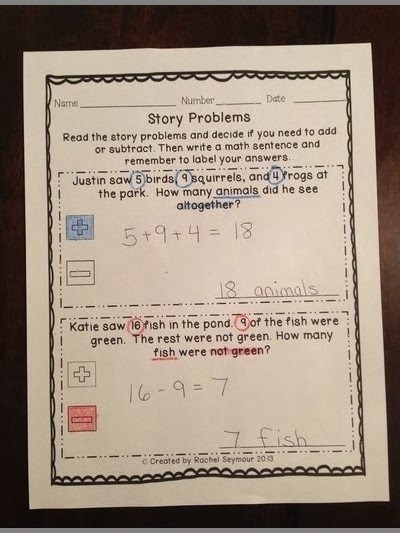 I now have 3 sections of story problems. 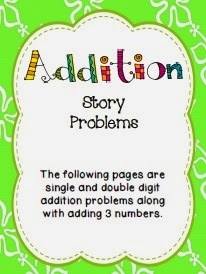 I added 10 addition problems which cover single digits, double digits, and adding 3 numbers. 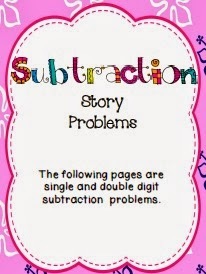 There are also 10 subtraction problems which cover single and double digits. And the last section is a mixture of both. 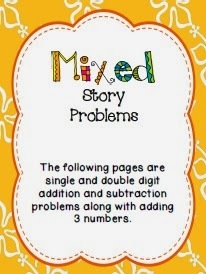 There are 20 pages of story problems with 2 on a page for a total of 40 mixed problems. Then we circle the numbers, underline the label, and highlight the key words that helped us. I make my kiddos write a math sentence every time so I can see how they solve them. Then they write their answer and label on the line. These pages have helped make story problems a little more exciting in our classroom! I hope your kiddos enjoy them too! You can print these off and staple them into a packet, do one page at a time, or cut them in half and glue them into your math journals! Use them however they work for you! 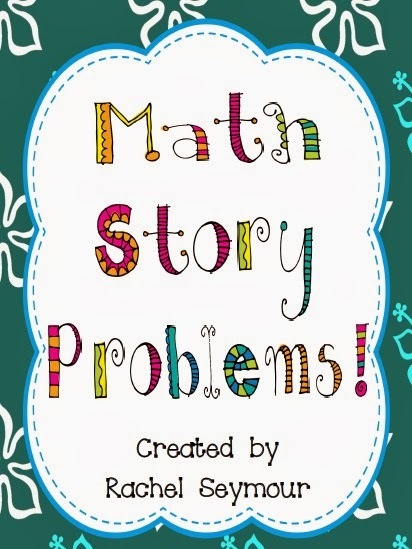 My Math Story Problem Pack is currently on sale at its' original price until Monday. Then it will go up to $5.00 so for today and tomorrow it's a fabulous deal!! Over 50 pages for only $2.40! 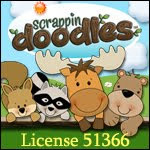 If you download the preview you will find a *freebie* to try with your kiddos! Don't forget my entire TpT shop is 20% off through tomorrow too! Enjoy the Super Bowl and have fun shopping today! I'm so glad that your mom is out of surgery and I hope she is back to 100 percent soon. We had 10 snow days in January, mostly due to COLD weather. I'm kind of glad I didn't have a student teacher this semester because I'm not sure how they would handle them having to make up these days! We've had 4 snow days in January (and my district very rarely EVER closes). Twice we had two days off in a row. So weird! And none of them were snow related--they were all due to the super arctic freeze we had. My student teacher has been with me 3 weeks. But she observed the 1st week, it snowed the 2nd week and last week we only had school 3 days because of the snow. I know she'll be happy to finally get into a routine. Frozen is AMAZING! My daughter is 4 and she loved it! I would love to run a marathon in my lifetime...I've done 5Ks and my goal this year is a 10k...so I'll work my way up maybe! Love the addition subtraction words on the signs! I love the story problems and how the students have the option of choosing the plus or minus sign.